“Hollywood Game Night,” hosted by Emmy Award winner Jane Lynch, will join the Red Nose Day celebration on May 24 at 9 p.m. ET/PT with some of the biggest names in entertainment set to prove their pop culture chops. Kelly Clarkson (“The Voice”), Sean Hayes (“Will & Grace”), Jack Black (“Jumanji: Welcome to the Jungle”), Chelsea Handler (“Chelsea”), Isla Fisher (“Wedding Crashers”), Sarah Silverman (“I Love You, America”), Sasheer Zamata (“Saturday Night Live”) and Cedric the Entertainer (“Why Him”) will compete in support of the mission to end child poverty. Additionally, blink-182’s Travis Barker will join the “HGN” house band, The Scorekeepers, as a guest drummer for the evening. The two teams will play Red Nose Day-themed versions of fan-favorite games, including Super Smash the Buzzer, Clue-Boom!, Lil Picassos and more. In this special edition of “Hollywood Game Night,” the gameplay works a bit differently — the team that gets the most points in each game earns money to be donated to Red Nose Day. At the end of five rounds, the team that’s earned the most money will go on to play a special Celebrity Name Game for the chance to raise even more funds. As a national partner of Red Nose Day for the past four years, M&M’S® will be donating $1 million to the fund and contributing all money raised over the course of “Hollywood Game Night” that evening. “Celebrity Ninja Warrior for Red Nose Day” will kick off the evening at 8 p.m., followed by the special edition of “Hollywood Game Night” at 9 p.m., both featuring some of the biggest names in entertainment competing to raise money to ensure that children in need are safe, healthy and educated. “The Red Nose Day Special,” hosted by Chris Hardwick, will close the night at 10 p.m.
Red Nose Day is an annual event that harnesses the power of entertainment to raise money and awareness for children living in poverty in America and around the globe. NBC's Red Nose Day programming is a culmination of a seven-week fundraising campaign that brings together millions of Americans around the country to have fun and make a difference. Talent who have supported the campaign include Julia Roberts, Ed Sheeran, Elton John and many more. Kelly Clarkson serves as a coach on season 14 of NBC’s four-time Emmy Award-winning series “The Voice.” Prior to becoming a coach, Clarkson had appeared on “The Voice” as a key advisor, helping to mentor the show’s aspiring artists. Clarkson, who recently released her critically acclaimed eighth studio album, “Meaning of Life,” is among the most popular artists of this era with total worldwide sales of more than 25 million albums and 36 million singles. The Texas-born, Nashville-based singer-songwriter first came to fame in 2002 as the winner of the inaugural season of “American Idol.” Clarkson’s debut single, “A Moment Like This,” followed and quickly went to #1 on Billboard’s Hot 100, ultimately ranking as the year’s best-selling single in the U.S. Further, Clarkson is, without doubt, one of pop’s top singles artists, with 17 singles boasting multi-platinum, platinum and gold certifications around the world, including such global favorites as “Miss Independent,” and “Because of You.” Clarkson has received a vast array of awards and nominations, among them three Grammy Awards, and was the first artist to top each of Billboard’s pop, adult contemporary, country, and dance charts. Clarkson has also made countless TV appearances, including performances during the 14th season of “American Idol” – the first-ever week of competition dedicated to a previous winner’s discography. Sean Hayes has returned to his iconic role as Jack McFarland on NBC’s “Will & Grace.” Raised in the Chicago suburb of Glen Ellyn, Ill., Hayes moved to Los Angeles to pursue a career. In 1998, he landed his break with “Will & Grace” and went on to win an Emmy Award and seven Golden Globe nomination among many awards highlights. Hayes’ other notable television projects include well-received guest roles on “Scrubs” and “30 Rock,” as well as “Martin & Lewis,” a television film that earned him a Screen Actors Guild Award nomination for his role as Jerry Lewis. In addition, he had an arc on “Smash” and a role in NBC’s “Hairspray Live!,” which was nominated for seven Emmy Awards. His stage credits include “Promises, Promises,” alongside Kristin Chenoweth, “Damn Yankees” and “An Act of God.” While also starring in movies such as “The Three Stooges” and “The Bucket List,” he also manages his production company, Hazy Mills Productions. In 2017, Hazy Mills produced the eight-part docuseries “The History of Comedy” that aired on CNN. Jack Black has cemented himself as one of the most versatile and sought-after talents in entertainment with multiple high-profile projects in the works.He will next be seen in Amazon’s “Don’t Worry, He Won’t Get Far on Foot” with Joaquin Phoenix, Rooney Mara, and Jonah Hill. He will also star opposite Cate Blanchett in the Eli Roth-directed “The House with a Clock in Its Walls,” releasing September 21. Most recently, he starred opposite Dwayne Johnson and Kevin Hart in “Jumanji: Welcome to the Jungle,” which went on to become Sony Pictures’ highest grossing domestic film of all time. His additional film credits include critically-praised performances in “School of Rock” and “Bernie.” Black also continues to tour both domestically and internationally as the lead singer of the rock-folk comedy group Tenacious D, which he created with long-time friend and collaborator Kyle Gass. Isla Fisher is most widely recognized for her critically acclaimed performance as Vince Vaughn's off-kilter love interest in the blockbuster “Wedding Crashers.” Her upcoming projects include “Tag,” scheduled for release on June 15, and Harmony Korine’s “The Beach Bum” with Matthew McConaughey, Snoop Dogg and Zac Efron. Other film credits include “Confessions of a Shopaholic,” based on the best-selling book series by Sophie Kinsella; romantic comedy “Definitely, Maybe,” with co-star Ryan Reynolds; writer/director Scott Frank’s critically acclaimed thriller “The Lookout,” starring Joseph Gordon-Levitt and Jeff Daniels; and “The Great Gatsby” in the supporting role of Myrtle Wilson. Fisher made her debut as a children’s author in 2016 with “Marge in Charge,” which originated as a bedtime story for her children. Fisher was born in the Middle Eastern country of Oman, but began her acting career in Australia, where her family moved when she was a young girl. Fisher lives in Los Angeles and London with her family. Two-time Emmy Award winner Sarah Silverman is one of the most versatile talents in entertainment. She currently serves as creator, executive producer, and host of “I Love You, America,” the weekly half-hour topical show streaming now on Hulu. Previously, she appeared opposite Emma Stone and Steve Carell in the film “Battle of the Sexes” and starred in “I Smile Back,” a role that earned her critical praise and a Screen Actors Guild Awards nomination. Her latest stand-up special, “Sarah Silverman: A Speck of Dust,” premiered on Netflix in May 2017 and culminated in nominations at the Emmy Awards and 60th Grammy Awards. Sasheer Zamata, who stars as the lead in the NBC pilot “So Close,” is a comedian, actress, writer and four-season cast member on “Saturday Night Live.” Listed in Cosmopolitan’s “13 Funny Women to Watch” and Time Out’s “Top 10 Funniest Women in NYC,” she received improv and sketch training from the Upright Citizens Brigade Theater, and performs stand-up at colleges and clubs across the country. She’s performed stand-up at Bonnaroo, SXSW, Moontower Comedy Festival, SF Sketchfest and Vodafone Festival. Additional TV credits include “Transparent,” “Inside Amy Schumer” and “People of Earth.” Zamata can also been seen on the big screen in “Yoga Hosers,” “Sleight, “The Outdoorsman,” “I Feel Pretty” and “The Weekend.” While also doing voiceovers for various projects, she currently serves as ACLU’s Celebrity Ambassador for Women’s Rights. Cedric the Entertainer is best known for his crowd-pleasing performances in numerous hit films and television shows. He was most recently seen in the comedy feature "Why Him?" opposite Bryan Cranston and James Franco. He next will be seen taking a dramatic acting role in the feature film "First Reformed," opposite Ethan Hawke and Amanda Seyfried, May 18 release. Currently on television, Cedric co-stars opposite Tracy Morgan and Tiffany Haddish in the new hit TBS comedy series, "The Last OG", which debuted earlier this month to record-breaking viewership (airs Tuesdays at 10:30 p.m. on TBS). Simultaneously, he stars on the BET series "The Comedy Get Down," alongside George Lopez, DL Hughley, Eddie Griffin and the late Charlie Murphy (airs Thursdays at 11:30pm on BET Networks). In March, "Welcome to the Neighborhood" was announced as his current project in-development at CBS in which he will star and also executive produce. Now helming his own production company, A Bird and a Bear Entertainment, Cedric develops and produces feature films such as “Johnson Family Vacation.” In 2009, he made his directorial debut overseeing the dance-film spoof “Dance Fu,” starring Kel Mitchell. As a dedicated philanthropist, Cedric provides scholarships and outreach programs to enhance the lives of inner-city youth and their families nationally. Travis Barker is an American musician and producer who has sold millions of records with his bands Blink-182, Transplants, +44, and as a solo artist. Barker has since established himself as an incredibly versatile drummer, producing and making guest appearances in music projects of numerous music genres, including hip-hop, alternative rock, pop and country. Aside from drumming and producing, he founded the clothing company/lifestyle brand Famous Stars and Straps in 1999. He also recently released his first memoir through Harper Collins, titled “Can I Say,” which was a critically acclaimed, New York Times bestseller. 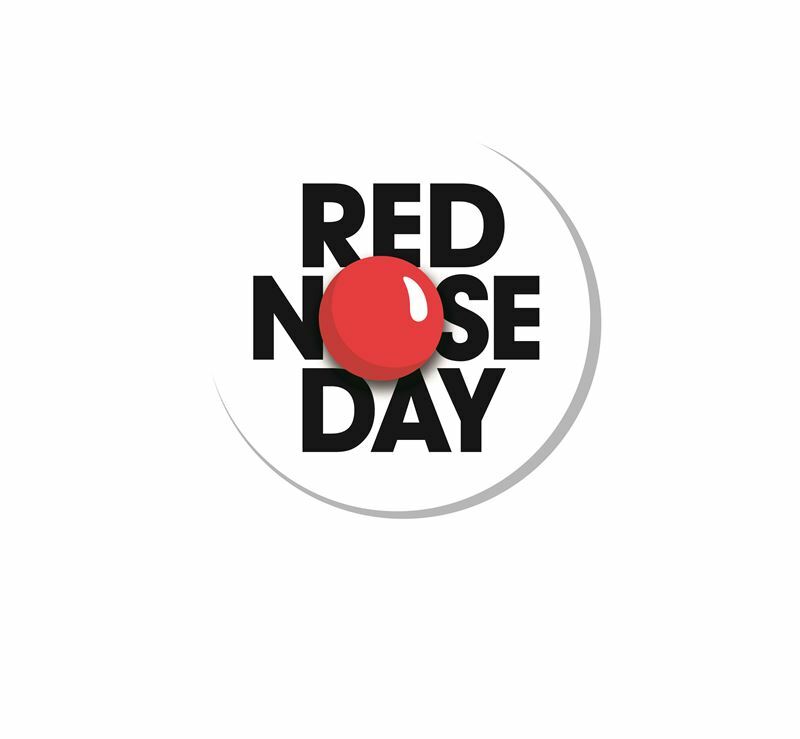 Red Nose Day USA is a fundraising campaign run by the non-profit organization Comic Relief USA. Red Nose Day started in the U.K., built on the foundation that the power of entertainment can drive positive change, and has raised over $1 billion since the campaign’s founding in 1988. Since launching in the U.S. in 2015, Red Nose Day has raised over $100 million, which has positively impacted more than 8.3 million children, both in America and abroad. Money raised by Red Nose Day USA supports programs that keep children in need safe, healthy and educated. Red Nose Day USA has received generous support from millions of Americans, hundreds of celebrities and many outstanding partners, including Walgreens, NBC, Mars, and the Bill & Melinda Gates Foundation. 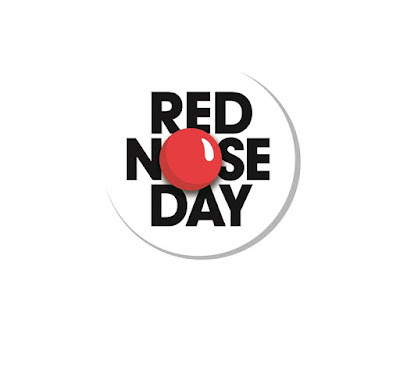 For more information about Red Nose Day and its impact, visit rednoseday.org. Follow @RedNoseDayUSA on Twitter, Instagram and Facebook.